The M 50-2 forklift truck is designed to be able to handle complicated ground conditions. Simple and robust, it's at home on any type of terrain with its 36 cm ground clearance. 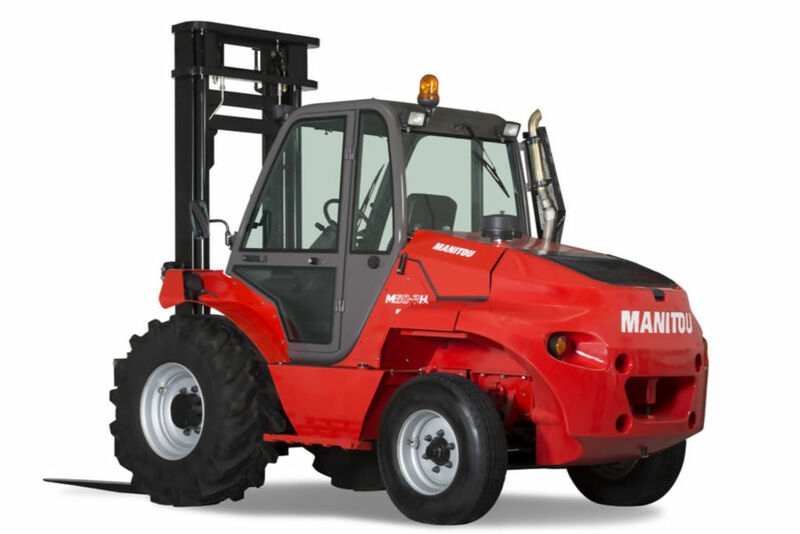 The large variety of tires available for this forklift and a 75 hp engine means it's powerful and flexible enough to adapt to any situation, whilst the fully opening bonnet gives complete access to all essential machine parts for easy maintenance. The driver's cab is spacious and accessible from both sides, with ergonomic controls so it's easy to quickly get up and running. A rounded rear counterweight and full 360° surround vision from the driver's cab ensure maximum visibility and safety.